Home Known Issues SharePoint SharePoint 2013 SharePoint 2016 "Connect to Outlook" in SharePoint 2013 Greyed out? "Connect to Outlook" in SharePoint 2013 Greyed out? Problem: SharePoint users unable to connect to any SharePoint 2013 list or calendar to Outlook 2013. The "Connect to Outlook" Ribbon button is always greyed out! 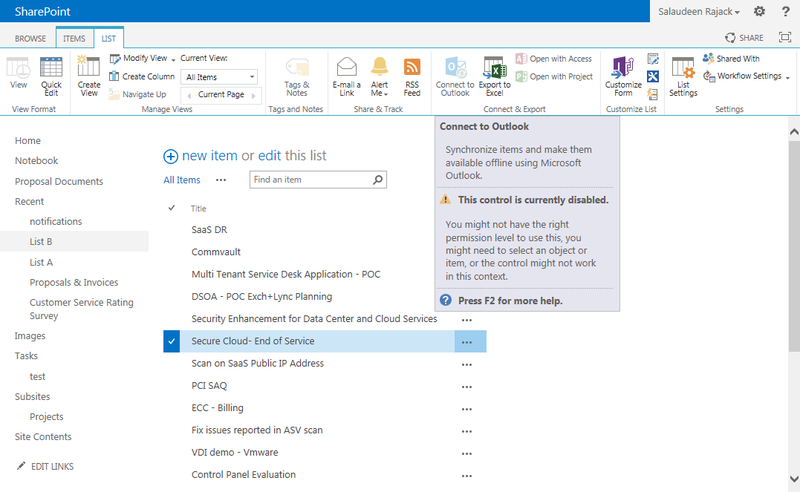 Connect to outlook feature is available only to these type of lists: Calendar, Tasks, Project Tasks, Contacts, Document Library and Discussion Boards. Prior to Service pack 1: If your SharePoint site has Minimal Download Strategy feature enabled, simply press "F5" to reload the current page. You'll get connect to outlook button enabled! Disabling MDS feature is not a good idea IMHO!! This feature works only when you have 32 bit version of office installed in your client machine! The "WebClient" Service must be running in services console of the client machine! Try adding your SharePoint site to "Trusted sites zone", Also uncheck "Enhanced Protected Mode" for the zone. 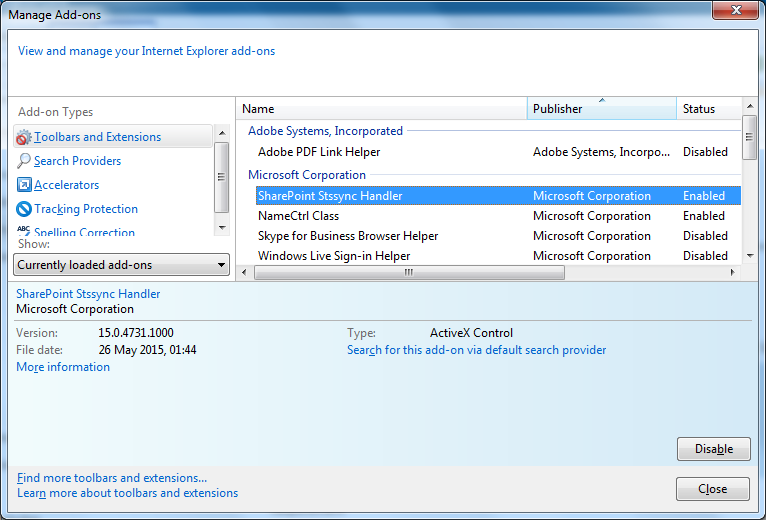 Logged user must have at least "Read" permissions to SharePoint . "View Only" doesn't work!